Why do Massachusetts utilities and program administrators support energy efficiency programs? Have you ever been in the lighting aisle and seen a sticker next to an ENERGY STAR®certified light bulb saying “special pricing brought to you by [a utility or other energy efficiency program administrator]”? 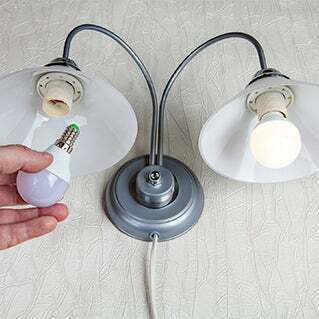 These utilities and program administrators are offering price discounts on these bulbs to encourage energy efficiency. Since utilities are in the business of selling electricity, you might expect them to encourage customers to use more energy. On the contrary, many utilities across the U.S. are actually asking customers to save energy, and have collaborated with other energy efficiency program administrators to develop programs like Mass Save® that help customers increase the energy efficiency of their homes and apartments. So why are Massachusetts utilities and other program administrators supporting these programs? Thanks to the Green Communities Act of 2008, Massachusetts utilities and other program administrators that sponsor Mass Save are required by the state to provide energy efficiency services to their customers. The Mass Save sponsors have annual energy efficiency goals, and those that are utilities are financially incentivized to reach these goals each year. However, the sponsors of Mass Save aren’t providing energy efficiency services to their customers just because they have to. There are several additional motivating factors, including opportunities for utilities to operate more cost-effectively and for all the program sponsors to provide savings to their customers. Electricity demand has been increasing across the United States. According to data from the U.S. Energy Information Administration, residential electricity use increased almost 29% in Massachusetts between 1990 and 2014. A main reason for the rising residential electricity consumption across the country is that changing technology has brought more widespread use of home appliances and electronic devices. When energy demand grows, additional sources of energy are needed. For utilities in Massachusetts, which manage the wires and other equipment needed to deliver energy to customers, this may lead to a need for increased distribution infrastructure as well. At a regional level, additional power plants may even need to be constructed to supply the energy needed to meet customer demand. These expensive upgrades to energy supplies and distribution systems can ultimately trickle down into higher electricity prices for customers. With the choice of either meeting a greater electricity demand by expanding distribution systems or reducing energy demand through energy efficiency, the latter provides a simpler and more cost-effective solution for both customers and utilities. Energy efficiency programs often include a mix of outreach, services, and incentives to make customers aware of the benefits of energy efficiency and to support them in saving energy in their homes and businesses. Here in Massachusetts, Mass Save provides rebates and discounts on energy-efficient lighting and appliances, offers free home energy assessments, and runs limited-time sales promotions to provide special deals on energy-efficient light bulbs, advanced power strips, and more. Similar to other energy efficiency programs across the country, Mass Save is funded by a small fee included in each customer’s electric bill. Programs like Mass Save provide simple solutions for customers to save money and energy, make their homes and apartments more comfortable, help reduce the region’s negative effect on the environment, and buffer against higher electricity prices that often take place during particular times of year, like the winter months. For instance, one simple tip is to replace incandescent bulbs with ENERGY STAR certified LEDs. 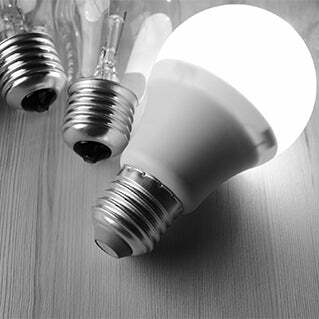 LEDs use up to 90% less energy than their incandescent counterparts, and also last longer and are more durable. Thanks to the sponsors of Mass Save, you can get discounted ENERGY STAR certified bulbs at retailers near you and online. Although the energy savings from one bulb may seem small, there is a large cumulative effect from many residents replacing their light bulbs. In 2016, energy savings from upgrading to more efficient lighting options through Mass Save helped reduce energy use by more than 310 million kWh across the state. As a point of comparison, the Energy Information Administration found that in 2015, the average household in Massachusetts used approximately 7,000 kWh annually. 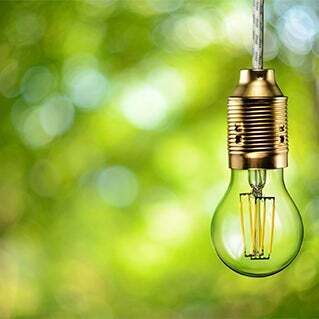 Just by changing a bulb or making other energy-efficient upgrades, you are not only lowering your energy costs, you may also be helping to avoid expensive upgrades to distribution infrastructure that could in turn lead to higher electricity costs and increase the region’s energy-driven environmental impact. It’s because of these shared benefits that utilities and other program administrators across the U.S. support energy efficiency programs, and it’s why so many residents are participating. To learn more about the services and discounts available through Mass Save, visit MassSave.com.